For homes where the unusual resides, these products hold special allure. Some homeowners love to push the envelope, and their home shows it. These are residences that house uncommon and uncompromising ideas, where design elements are on the leading edge and building materials are anything but mainstream. If, to some degree, this describes you and your home, and you’ve been through all the flooring sections and still haven’t found the right product for you, maybe something more specialized is required. Within it you’ll discover four different and distinct products that really are in a class by themselves. Maybe one of these products will be right for you. 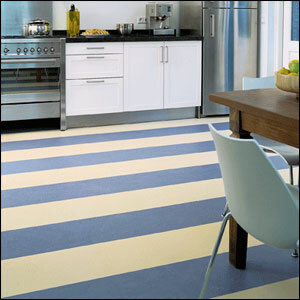 Linoleum: know that it’s a whole new floor. 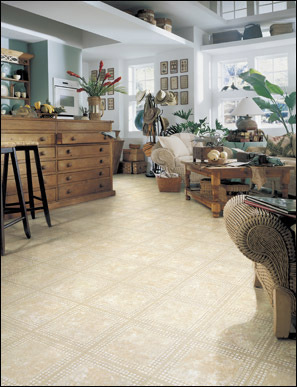 Today’s linoleum is a far cry from the flooring you crawled around on in your mother’s kitchen. 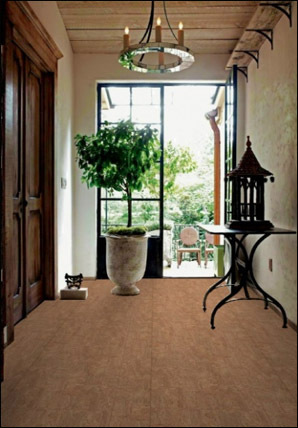 It’s enjoying renewed popularity as a flooring choice because it is made of natural ingredients including linseed oil, cork, limestone, wood flour and tree resins. Linoleum can be wiped with water but should not be left wet.